I want to thank from the bottom of my heart everyone below who was kind enough to write to me and compliment my work. I am very humbled by this, and thankful for the privilege of playing a small part in spreading the word of the Gospel and the Catholic Church. On behalf of Editor Patrick Madrid and the staff of Envoy Magazine, I am very happy to tell you that Biblical Evidence for Catholicism was chosen as the winner of the “Website of the Year”  category and that you were nominated for the “Best New Evangelist” category in the second annual Envoy Awards for Excellence in Evangelization. The other nominees for the “Website of the Year” were Catholic Online, Catholicity and New Advent. The other “Best New Evangelist” nominees were Curtis Martin, Fr. Daniel Gagnon and Robert Sungenis.
. . . we see the importance of recognizing and encouraging those who are truly effective in their efforts to proclaim the Catholic Faith. Nominees are selected and voted upon by the staff and several of our advisors. Thank you, Dave, for the tremendous good you and the Biblical Evidence for Catholicism website have done and are doing for Christ and His Church. All of us at Envoy Magazine love you and support you in our prayers and the work of our apostolate. Please remember us in your prayers. Dave: I wish to publicly express my deep appreciation and gratefulness for this award. We all need the encouragement in the battle for the Gospel and the Church, and I am greatly touched by this gesture, from my fellow Catholic apologists at Envoy whom I respect so highly. Thanks so much, and may God abundantly bless your excellent efforts at Envoy. I know I speak for many when I say that your apologetic work is some of the best currently available, and that the graphics and layout make for a very attractive and appealing publication – which in turn can only enhance and render more effective the edifying and informative articles contained therein. You utterly amaze me! Such good stuff . . . Dave, keep up your effective and eternally valuable apologetic journalism! You are an inspiration to me. I love your feisty, logical, loyal defense of the Faith. I am very impressed that you have put so much time and personal energy into . . . your wondrous home page, and personal correspondence, too. Convert from Calvinism, story in Journeys Home (ed. Marcus Grodi; Queenship Pub. Co., 1997), Envoy magazine, and Coming Home Newsletter.
. . . The site contains many excellent articles. He uses the best Catholic sources as well as drawing on good Protestant sources which support the Catholic position . . . We highly recommend this site . . . everything on the site is faithful to the Magisterium. We highly recommend this site. In our opinion it is one of the best places to visit on the Internet. We have selected your site as our Site of the Week. Further, we will include the article you mention [ “How Cardinal Newman Convinced me of the Apostolicity of the Catholic Church” ] on our Catholic Library CD. I’ve been noticing a lot of positive comments from around the country on your apologetics efforts on the Internet. Bravo! I admire, as ever, your fantastic and penetrating work for Christ and His Church. You can always count on my prayers – please let me count on yours. Keep up the fantastic work with “Biblical Catholicism.” All of us at Envoy love it and often refer people to it. I have read Surprised by Truth and especially enjoyed the insight and good humor of your own contribution . . . I have bookmarked your website and will keep checking it. It looks like a really good resource. I checked out . . . your Web Pages tonight, and all I can say is WOW! . . . What a great job you have done pulling together such wonderful resources!!! Congratulations on a job VERY well done! You have an excellent [G.K. Chesterton] site. Thanks for your good work on behalf of GK Chesterton! First I want to thank you so very much for providing the Faithful with such an invaluable resource. I can’t tell you what an inspiration your site and your resources are and what a tremendous help you have been to me in so many different ways. On occasion, we acknowledge the special excellence of sites that we know our readers and viewers simply must go see, not only for the excellence of the site and layout, but most especially for content. You site is an example of just such a “must-see” that we love to commend to our readership. To that end, though, I wanted to send you our TOP 1% Best Catholic Site award . . . This one is only for the best of the absolute best, and there is no question that yours is indeed the best on the Web for the subject matter. I absolutely love your site. I’ve been borrowing info from your tracts and articles for apologetics use for most of this year and felt like I needed to drop you a note to express my gratitude. You do such good work. Without pride, don’t minimize the gifts God has given you. Your web page is excellent and you are obviously a self-taught man. [Yours is] my very favorite web site, a veritable treasure-trove of apologetics info, with fascinating articles galore. Catholic freelance writer; conversion story appeared in Envoy magazine. I’m sure many people say this but I’ll say it again: God bless you and your family for all the work you put into defending the Faith! Wow! I’m amazed. Catholic speaker and free-lance writer for periodicals such as Envoy, New Covenant, and Our Sunday Visitor. Kris has written 10 children’s books, including two award-winning novels, Eclipse and Lone Wolf. 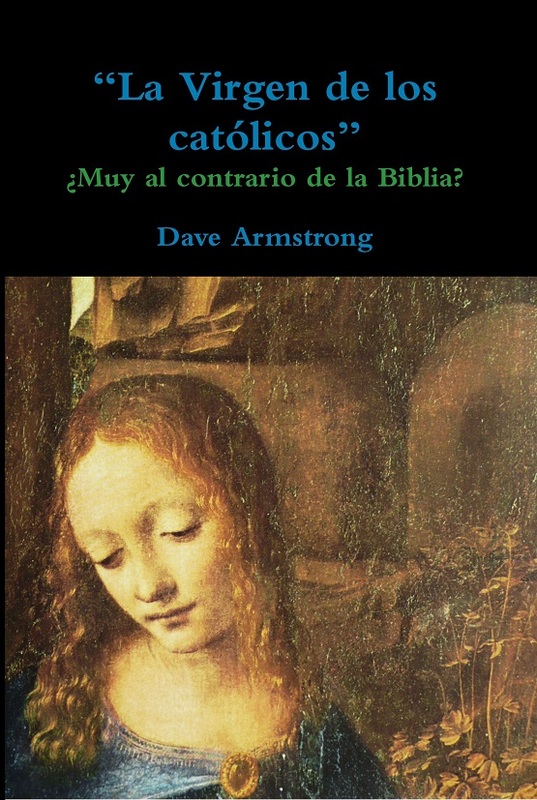 An empowered, faithful, educated and technically astute laity is a wonderful phenomenon and Dave Armstrong, a free lance writer and Catholic apologist, is just such a character. His Biblical Evidence for Catholicism pages provide both a good in-depth resource for those seeking to better understand the Catholic Church and a witness to the joy of a life lived in the Truth. The site is designed well for the user, easy to navigate and explore and has a good mix of the dry and the funny. How can a guy go wrong when, at the top of his page, pictures appear of John Henry Cardinal Newman, the rose window from Notre Dame, Paris, and G.K Chesterton with his beloved wife Francine? You have done a VERY great job on your web site. Keep up the excellent work! You have got one heckuva great website – the info. on it is simply overwhelming! Your site continues to look good and to be among the most useful. Over the past few weeks, as I prepare for my lectures in Church history, and a further graduate unit in Moral Theology for 1999, I have visited, re-visited, and read/reflected on your pages extensively. May I say, that I have now listed your Site in their study-notes as a “Must-Visit” Site/Pages for my undergraduate and graduate students. Absolutely breathtakingly marvelous! Your site is an amazing fount of faith and knowledge. “Impressed” doesn’t do justice in regards to what I have read at your site. You know so much. Your zeal for the faith is evident in your writing. I wish all the “formally” trained people could express (and believe) the way you do. God is obviously doing great things through you. I am a French Catholic academic . . . I am specially indebted to C. S. Lewis – I wrote my PhD Thesis on him (on the relation of imagination to reality), and translated The Abolition of Man in French . . . thanks for your magnificent page. Your web site is one of the very best. I am VERY impressed. What a GREAT website you have! . . . I wish that I had known of your site when I was struggling with my faith . . . Thanks again for this tremendous site! I just wanted to drop an “e-mail” line thanking you for your wonderful web page, especially the section having to do with the Orthodox Church, . . . which was a GREAT help. I was going through a SERIOUS crisis concerning the dual claims of both the Catholic Church and the Orthodox Church as to being the True Church . . . Thanks again, Dave, you have been such a great help to me. I am in awe at the worth of material you have gathered and made available . . . This material is a valuable resources for homilies and confirmation classes. Hi, I’m a teenager . . . your site is always a great aid to me. Also, its nice to see such a wealth of information . . . Thanks so much for SUCH a useful tool and for the great background it provides. I can’t say enough about the resources you have taken the time to put on the web. I have just finished reading some of the transcripts of your Sola Scriptura discussions posted on your web site. As a left-brain dominant Catholic (math, science, engineering undergrad and law grad)… I probably enjoyed your logical crushing of the Sola Scriptura position more than a good Christian should! You really can tighten an intellectual vice…. I am always impressed by someone who demonstrates superb logic and consistency in a debate. Greatly enjoyed your website. I am a former Protestant minister of 15 years and am now a Catholic . . . Your site has a wealth of truth that helped me in my conversion to Catholicism. Your site, Catholic Answers, John Michael Talbot helped me a lot see “the light”. I just wanted to thank you for your efforts on your web page and in talking to me personally. I . . . will be received into the Church this Easter. Your web site really facilitated much of my research into the Catholic Church. Newman’s Development of Christian Doctrine, which you recommended to me, played a large part too. Thank you (and Almighty God) for providing a most interesting and informative website . . . It gives me great joy to see that people like you are entering Mother Church and defending her. Keep the faith! I just realized how AWESOME [your website] is!!! What a great beacon and pillar you are! . . . I’ve started to read your article on Luther and what I’ve read so far is AWESOME! When I stumbled onto your website, I was thrilled with how complete it is, how well organized, how friendly, how humble, and just how charming it is. Thank you for the wonderful service you are providing for people like me . . . I appreciate very very much what you have done here. Let me begin by praising you for all the work you put into letting the truth be known! How proud our Lord must be of this awesome effort. I enjoy immensely the intelligent and rational views of the Catholic Faith . . . Thanks for all the info you lay out there, without forcing your own opinion. It’s like an on-line library. Eternal thanks for your site . . . This site is an immeasurable treasure to me and I will pass it on. Thank you for this most critical work! Wow, this is wonderful work. You are one of the more erudite Catholic apologists I have run into . . . One senses, however, an overarching charity in your approach. What a dynamite web site! . . . I’m very grateful to you for establishing it. You have one of the BEST web pages I have ever visited. Congrats on your wonderful site . . . I plan to make frequent use of the material there in discussions with Protestant and non-believing friends. Thank you for putting it together in such a clear and organised way. Just visited your web site and I just have to tell you that I think it’s wonderful. At times, it can be very disheartening to witness to the truth – especially when it’s Catholics that we have to witness to. It’s web pages like this and people as yourself that give me strength and hope to continue. I am immensely grateful for your web site. It is a veritable treasure of mentally stimulating material for which I give thanks to God for His unspeakable gift in Christ . . . For twelve years I served as a pastor in the Free Methodist Church of North America . . . Thanks be to God for the internet which was and is my path way to a Catholic education. To abbreviate, I will be received into the Catholic Church this Easter vigil . . . Again, Dave, I so deeply appreciate the wealth of material you have provided. I intend to drink deeply at this well. Thank you for your site. 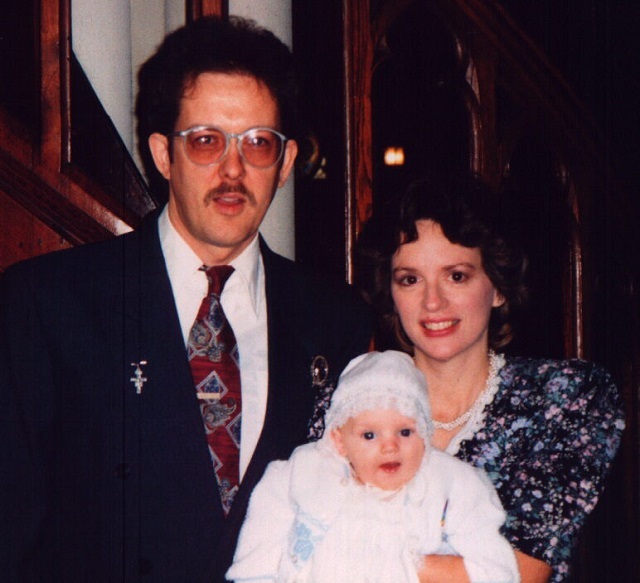 I am a cradle Catholic who has been Baptist (SBC) for 10 years. It now seems as if the RCC is more biblical than the Protestant denominations . . . I really didn’t even know there were Catholics out there like you and the folks at Catholic Answers. [I am] astounded by the links you have accumulated and shared . . . You have gathered together groups of links that are enormously helpful to me, and I am certain, to many others. I am sending you this message to congratulate you on your most excellent WEB page. I have seen many Catholic Apologetic WEB pages before but yours is most definitely one of the best I’ve seen to date. You have so many marvelous, incredible articles and links on your site – it is great!!!! I’m a 16-year old Catholic from Singapore and have been looking around for an ideal Catholic apologetics website and I must say yours is the best! It provided answers to many of my doubts. I just visited your web page and I was astonished at its completeness. Great job you are doing! Your articles are so well written, orthodox Catholic, well researched and ecumenical! Love your bibliographies too. What a wealth of information to study and learn from. And as a “re-vert” to Catholicism, this is something I sorely need. Your site . . . is very well done and full of really good information. Your page . . . is just what I needed to communicate Catholic doctrine to a Protestant group . . . in order to communicate to Bible-centered denominations one must know the biblical origins of our beliefs. Thank you for giving me that language. Your web pages are a superb effort . Please accept my warmest congratulations . Maybe in the coming months I will be able to offer the possibility of a mirror site in Spanish for the whole of South America. Warmest greetings from Buenos Aires, Argentina. Your web pages . . . [are] A GOLDMINE . . . THANK YOU . . . I spent nine years in the convent and read my Bible every day . . . wish more Catholics did. With all my theological training etc, I am still at a loss when it comes to understanding the differences in Protestant and Catholic versions of the Bible, and the nuances of these differences . . . I feel like I hit the mother lode . . . For months I have been looking for something like this . . . . Now I have somewhere to go to get answers. I am amazed at your writing ability. You have a gift Mr. Armstrong, and I am blessed by it . . . As a convert myself, I am really happy to be able to read material from such as yourself. Keep it up, the Church and the world needs you! Just read your text on your conversion as per Cardinal Newman. You did an outstanding job . . . Keep it up . . . it helps people like myself greatly. You have provided us with the best list of links I have ever seen. Thank you for your fantastic web page – it’s great. I am a life-long Catholic and finding such enthusiasm is such a help. So many Catholics do not have a true love of the faith . . . hopefully with individuals-like yourself this may turn the tide!!! I’ve been to your website and I felt like I found a treasure chest of knowlege about my faith which I can share with my friends, specially, my priest-friends!!!!!! Simply a marvelous site that clearly is a labor of love. Just had to share my joy at discovering you. I have been fascinated reading the wealth of information on your superb website! Maybe it’s time the Church adopted lay preachers! Please accept my thanks for your web site. It is an invaluable source of information for me. When I have a question I need to research, your site is the first place I visit. I’ve been very active in promoting your Justification Page in many postings in various EWTN Forums. It is truly outstanding, as are all of the sections of your web pages . . . The information you have on display in all of your categories is really awesome. The fantastic articles you have put together will bring many, many people into the truth of the Catholic faith . . . Thank you for the wonderful work you are doing for the Catholic Church. What a terrific website you have! . . . I’m planning to start a Catholic apologetics program in my parish and your website is one of several I’m sure I’ll be referencing frequently! It’s charitable, professional and full of the “joy of being Catholic” – a wonderful witness. Just a brief note to say how much I enjoy your website. It gives me a lot of hours of spiritual and intellectual satisfaction. It’s really nice to see someone who is so appreciative of the Faith and values the deep history and literature available to Catholics . . . it is a pleasure to read your page. This webpage is absolutely and unbelievably terrific! While I have viewed many fine Catholic web pages, yours is probably the most comprehensive. I have been enjoying your incredible pages . . . I will definitely be using your pages throughout the coming year as a source of information and inspiration. I have used your research and study on Catholic doctrines in your website so many times . . . Your research and study have been very useful to me . . . So please accept my heartfelt thanks . . . It is difficult to fathom the appreciation and joy I feel for your hard work, but I do. Thanks for the web site. I am finding it most enlightening. After returning to Christ as a Southern Baptist, my searching has led me back to the Mother Church in which I was raised. Your site has been helpful in that journey . . . it’s like coming home again. This is one of the best sites I have ever surfed on! An Orthodox Catholic site with the writings of (my favorite) GK Chesterton and Cardinal Newman! I am in Heaven. Yours is an excellent website! I can truly use this for my teaching. I teach high school theology . . . Your site is a magnificent theological resource for me. I must say that I am pretty impressed with the work you have done . . . I cannot wait to see what you have written and the links you have for other aspects of the Catholic Church. Your web site is unbelievably good . . . There is enough information there to last me the rest of my life! I can’t tell you how great it is to find all the tremendous links you have. This site . . . is a superb collection. I am humbled by the extraordinary devotion in assembling this material and maintaining it. 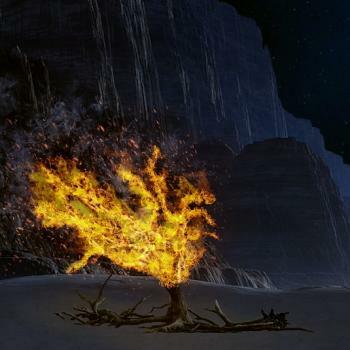 I am a convert, first from dispensationalist fundamentalism, to Anglicanism, to the Holy Catholic Church, with degrees in theology from Yale Divinity School and the University of Navarre. Yours is the absolute best site on the web for dealing with the biblical dimensions of dogmas and doctrines rooted in Tradition . . . What I love about your page is that the articles show not only the scriptural verses but the scriptural logic for the dogmas and doctrines. I write with great excitement as I peruse and explore your web site. You have done a remarkable job . . . I just wanted to thank you for providing such a wonderful site that provides so much valuable information. Sites such as yours make the Internet the valuable tool that it should be, rather than the thoughtless, valueless, wasteland that it so often is. This is the best Catholic site in my opinion. Very intelligent! As a young Catholic man gifted with a vocation to the priesthood, I appreciate your page. The dialogue on the scriptural basis for celibacy was a great tool for me. What a magnificent site!!!!!!!! . . . [I] am sure that sites like yours will be so very instrumental in uniting Our Lord’s family. Yours is a super site!! I host a local TV program on Catholic Apologetics, and I find myself constantly searching your site to “arm myself”, so to speak. You have done an incredible amount of work on this page and it is an EXCELLENT page. I have never seen so much information available on the Catholic Faith. Thank you and bless you for your web site. It is obvious that many hours of hard work and prayer are behind designing and maintaining it . . . Between Scott and Kimberly Hahn’s book and now finding your incredible web site, [my husband] is moving closer and closer to a decision . . . I wanted to let you know that all your hard work is making a tremendous difference in the life of someone else. I’m sure we are representative of many others. Your site is a continued source of inspiration and is starting to become one of the pillars that holds up my faith. Thank you, thank you, thank you for the best scriptural defense of the Immaculate Conception I’ve ever seen! [Yours is] one of the best Catholic websites I have seen. It’s been a great blessing for me when I want to read something truly Catholic . . . The site has helped me in talking to Protestants and even non-Christians about the faith. Thank you so much for your wonderful website. There is a wealth of information that is useful for me in RCIA, for responding to questions about our Catholic faith, and for my formation in the permanent diaconate. Although I am a cradle Catholic, people like yourself, Scott Hahn, Thomas Howard and Peter Kreeft are truly an inspiration to me. Your love for the Catholic faith fuels and reinforces my love for Christ and His Church. Thank you also for promoting the interfaith dialogue. With God’s help, we will some day all be one. I love the John Henry Newman Page and all the treasures that are to be found through it. I’ve been browsing around your website … just a quick private note to tell you how much joy your story – and your witness – gives to me . . . I was deeply moved by your story . . . I want to thank you for the EXCELLENT compilation of links on life issues like abortion, contraception, and euthanasia . . . I am thankful in the extreme. I find your site very useful in understanding Christian beliefs and doctrines. The essays in the site are very sophisticated and of high standards. I’m very impressed, . . . I am very moved by your comprehensiveness. I dropped by and was amazed by your website. You have the most comprehensive collection of links and resources I have ever seen. Congrats! Fabulous page with loads of info! . . . Your site has been added to our favorites and will be utilized by our children. Our goal is to make them Catholic “tanks”, i.e., fortified with enough armor to withstand “biblical evidence against Catholicism” and “logic” claiming to prove no need for religion. You have our gratitude for aiding us. You have a great web site. I use it all the time, including using it for my catechism class that I lead. You have easily one of the top Catholic sites on the internet. Thank you for an excellent respositary of Marian material for study and devotion . . . I am a future student of Mariology (a perspective STD candiate at the University of Dayton’s Marian Institute. Your page is wonderful, very helpful and full of good insights. Also, you seem to be very charitable. I stumbled onto your web site while looking for Catholic apologetics information….wow! What a treasure trove of information. I certainly will be a frequent visitor. I have been a Catholic all my life and I use your site along with another one to teach the Faith to my Protestant girlfriend and her friends. You provide wonderful articles that tackle the tough issues. When they are finally converted and become part of the Body of Christ, I will be able to owe some of the thanks to your site. I want to thank you for your wonderful internet site. It is truly a treasure trove of all kinds of fascinating and salutary information. I particularly enjoy reading your dialogues, which display great erudition and certainly cause one to think (for a lawyer like me, its like being back in law school again!). Congratulations and thanks for such a terrific site! I’m amazed at the depth and variety of links you’ve assembled, and particularly appreciate the excellent and tasteful graphics. The interconnections between Christianity, music, and art are well drawn and nicely brought out in (for example) your discussion of C.S. Lewis and Romanticism . . . Also it has been a real revelation (no pun intended) for me to see the deep roots of Catholic doctrine in Scripture, which Evangelicals converts naturally tend to bring out very well. I am a 25 year-old lay Catholic from Christchurch, New Zealand. I think your website is great, . . . and [it] has contributed to a huge interest that I have now in Catholic apologetics, history and doctrine . . . And best of all, my faith has been strengthened tremendously. You have an outstanding page that is a great source of information. I admire your position on striving to maintain a mutual respect for each other, something that seems in short supply in other forums. Your format is very user-friendly and the abundance of material is impressive. In addition, your apologetic work is excellent . . . Your web site is a Catholic treasure chest . . . You are very gifted and certainly have blessed me. This is just a quick line to say how much I appreciate your work . . . You are teaching me so much more than I learned in four years of theology in seminary. I am a big fan of your . . . website. I must have visited your home page 100 times. I cannot imagine how you could have amassed that much information. You do an excellent job of explaining Catholic thought. You have an AWESOME website. You’ve helped me so much this past year. Much of the stuff on your site helped me convert to the Faith as well. You have answered many of my questions and you are a very skilled apologist. Your dialogues are very good and entertaining to read. Overall it is the best site around. Thank you Dave for introducing me through your website to Venerable John Henry Cardinal Newman, more of the Church Fathers, and a deeper look at the Faith. Dave, this is simply the best and most extensive site I’ve seen! It’s a virtual treasure of Catholic Apologetics. God bless you for providing such a weapon in defense of our faith. In the last couple of months I’ve had the opportunity to witness to some local Jehovah’s Witnesses, help a friend deal with an antagonistic, anti-Catholic co-worker , and assist my wife in learning the biblical basis for the Catholic doctrines regarding the Blessed Virgin Mary. For each question, the first web site I’ve gone to is Biblical Evidence for Catholicism; I consider your site invaluable. I feel greatly in debt to you; you (and your site) were the “good samaritan” that helped me on that road back home. Thanks. Just a short note to thank you for all the info. When I stumbled onto your site, I was amazed. I wish I had time to feast, but when I have that precious moment, late at night, I pull up my start page (yours) and savour one or two articles or nibble here and there. It’s like being at an all-you-can-eat buffet, you don’t know where to begin. I sometimes copy one and leave it on the kitchen table, so my husband has something to read over breakfast or on break at GM. We enjoy reading one each night before we go to bed . . . The more I read, the more I learn, and the more I retain. It’s like law talk, medical jargon, dental (my field) lingo – as I digest each page, I become more fluent in articulating my beliefs to others. Thank you Dave. Thanks from all of us. I finally had some free time and I visited your webpage. Incredible! I could spend another year just reading the articles posted . . . Your web page is very similar to the one I have been envisioning to create . . . Your site was very informative and encouraging (especially the personal stuff). I thank God for your ministry. Your site has been a godsend to me. In the past year, I have had numerous online debates with anti-Catholics. My apologetical skills as a defender of Catholicism have improved 100% – due almost entirely to your site. Thanks to the “font of information” which you have there, I can usually find almost anything I need to defend the Church against even the most obscure or bizarre charges . . . I owe a lot to you and your site. Your site is outstanding. Sites like yours are a blessing. I read your chapter in Surprised By Truth some time ago and have admired you since. You have compiled a powerful presentation here and quite a collection of resources. For all your work in this life to teach the truth of our faith, your reward will be great in heaven. I . . . check[ed] out your website . . . I am impressed. Where were you last year when I was needing this??? Thank God I have found the treasure chest at last. I can hardly wait to get into the articles. Thanks in advance for all the input you will have in my faith journey. You are doing such a wonderful gob with your much needed web site . . . As soon as I see any of the following names; Karl Keating, Cardinal Newman, Augustine, Aquinas and Chesterton, then I KNOW I have reliable information! It is the cream:) And I thank you! I just wish to congratulate you and give you a little moral support by letting you know that you are included in my regular prayers, and mass intentions, so that you persevere in your good works and EXCELLENT information! I really appreciate your network of sites, both internal and external; I have found your personal writings very helpful and extremely useful and insightful. I am utterly amazed that you’re not a theologian by profession. Your piece on Transubstantiation was particularly helpful at a time when I was unable to coherently formulate my belief in the Real Presence to a Protestant friend who vehemently failed to see any truth whatever in the doctrine. Since then, I’ve consulted your page many times for a variety of reasons. I came across your website today for the first time – I found it quite thorough and enjoyable. Your conversion story is like mine in many ways. I wish I had known about your site when I was going through my three-year-long “can the Catholic Church really be true?” phase that every convert from the Evangelical world experiences. 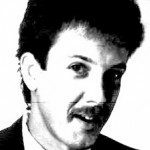 During my conversion, I relied heavily on the Akin/Keating/Hahn materials, but found nothing quite so thorough on the web as you present here. You have a great website and the articles on it are absolutely wonderful. My family is Catholic. My brother was attending a Protestant church and he came up with all the Protestant arguments you know so well. My mom was praying and praying.Then I found your site and e-mailed him a whole slew of your writings. Now, he’s arguing against Protestants, not with them. Praise God! Muggeridge. This site is certainly influenced by thinkers such as these. sacraments, to name just a few. These are the classical topics that seem to differentiate Catholics from other Christian denominations. However, this site’s explanation of these topics is very classy. There are presentations by the author, but other noted Catholic authors supplement this basic information. In addition, there are links to other web sites for an even greater explanation. contemporary topics. The author of this page seems to be a strong intellectual. Thus, the author tackles topics such as the occult, worldviews, the Church Fathers, and politics. This last topic was particularly interesting. All of the articles in this section of the web pages seemed to be well thought out. The selection of other authors was also very impressive. Evidence” is the depth of the articles. The contents of these pages are definitely for the intellectual and for the one who wants to go beyond the brief responses found elsewhere. To spend time here will open your eyes to the world of Catholic scholarship. This is the best Catholic website! I am putting a lesson plan together for CCD tomorrow and I found everything that I need. I think the reason I like [your website] so much is because the way you explain things. Some terms are still above my head, but for the most part, I understand what you’re saying. So many times when I look something up in the Catechism, Catholic Encyclopedia, or other theological book, I’m not much better off after having read them. Too many of the terms are words that I am not at all familiar with. It’s like a lay person looking up a drug in the Physician’s Desk Reference! I have just discovered you web site and I am astounded at the excellence of the content. You are to be congratulated for such a powerful Apostolate. I just wanted to commend you on a terrific site. Your site is a wonderful launch pad for further exploration of the wonders of our faith. I also wanted to let you know how much I enjoyed your debates with our fellow Christians. Although I am a cradle Catholic, I often feel that converts put us to shame when it comes to understanding the teachings of our faith and being able to defend those same teachings. Because of sites like yours I have a profound and renewed interest in apologetics. I just want to thank you for dedicating so much of your time and energy to giving “an account of our hope” (1 Pet. 3:15). You have clarified many misconceptions and answered numerous questions. I just wish to drop you a note saying how much I appreciate your website. I have been accessing your site several times a week for over a year now and every visit I am enlightened and fortified in my faith. Well done! I just wanted to tell you how helpful your site has been for me. As a high school theology teacher, I find that your web site helps me to answer any question that a teenager in this age of skepticism might have . . . I am constantly recommending your site. I feel it is one of the best on the net. Thank God for you. Your insight into these matters of apologetics is phenomenal. You are obviously blessed by God. Please keep up the work that you do. I’m extremely pleased to learn that you’ve won the Website of the Year Award from Envoy Magazine. Congratulations on this outstanding accomplishment! The fantastic work you’ve done has been evident for a long time. Your efforts have touched the lives of people in ways which will reverberate through eternity. And this award will serve as a means for even more people to discover your wonderful web site. I really appreciate your site and think that it is marvelous, one of the best I have seen on the web . . . I have also had the opportunity to enter into dialogue (a nice ‘PC’ word!) with some of our Protestant brethren of late and have found your site to be of great assistance in doing some of the groundwork I have to do in order to give a reason for the hope within me. I just wanted to thank you for helping to bring about my reception into the Holy Catholic Church. Without your efforts and the wealth of information you’ve made available, I doubt that I would have been received into the Church this past Easter. As a former Protestant, who moved through Anglicanism to Catholicism, I can tell you that every possible question I could conceive of asking, was answered on your website. And as the scales fell from my eyes, I not only knew I must convert, but I longed to do so. Now that my longing has been fulfilled, I again thank you. For the Grace of GOD has worked through you to me, and hopefully it will continue through me, onward. May the Peace of GOD always be with you, and with all those you love. Your website is not only a great source of information, but also of spiritual guidance and inspiration . . . Thank you for bolstering my faith. Keep up the great work! I wanted to also thank you for your ministry, . . . on behalf of my husband . . . I was a cradle Catholic who was reconciled to the Church from somewhat fundamental Protestantism last October. I provided him with your website and the Hahns’ book to reassure him about my choice . . . Since I last was in touch with you, the following miracles have happened: Both our former marriages were annulled. My husband attended the most recent RCIA class. He was baptized, confirmed and received his first Communion Easter Vigil. Our marriage was convalidated Easter morning. Your website was of tremendous help to him, both in making this decision and in answering the questions (some challenges, I think) from loved ones and friends who questioned our choices. I’ve just returned from looking at your lighthouse photos, with verses from Holy Scripture – really beautiful, Dave . . . I think you did an admirable job. And ‘killing two birds’ by adding quotes from Scripture made the experience of viewing your photos doubly thought- provoking. Your Biblical Evidence site really was one of the most powerful influences of my decision to re-embrace Catholicism and I don’t think I could be grateful enough. I congratulate you on the fine job you have done. You have perhaps the finest apologetics page on the Internet. Great site. I visit it often. You have the best apologetic site I’ve seen . . . Cardinal Mohoney says: “The internet is the modern day Sea of Galilee, where Jesus walks, calling Disciples to himself.” Your site makes these words come alive. I have never felt compelled to send an e-mail message to any other website. Sheer gratitude has prompted me to make an exception to this “rule” and drop you a note today. In particular, I wish to express thanks for the apologetical information contained on your site regarding the Eastern Orthodox Church . . . 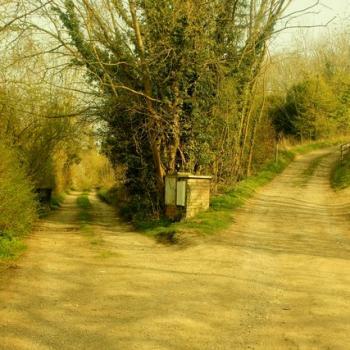 Since we have been so eager to recognize all that is and remains authentic within the separated Eastern Churches, the tendency has been to ignore the remaining differences. I’ve been spending more time on [your website] lately, especially the pages regarding justification and baptismal regeneration. I am in awe of how extensive it is in terms of sources and articles. You are doing a great service for those of us who are converts from Reformed Protestantism and involved in explaining the Faith to our former church members, friends, and relatives. I wrote that note shortly after I got onto your site, and I must say it only got better and better. I forwarded it to several people I know would appreciate it. I thank you for all the work you put into it. It will take a long time for me to get through all the info. you present but I know it will a most pleasant search . . . Of course, the information on the Church was the most valuable (and treasured!) and will bring me back again and again . . . I think Saint Paul would have made a site like yours. I am really at the verge of tears of thanks for your excellent website which has “saved” me before – I probably dropped you a line then, too. I just had what felt like an argument with my very best friend, a lovely Protestant woman, quite an evangelist in her own right, who challenged me on Purgatory and the intercession of the saints. I handled Purgatory fine I think (I’m a convert from Evangelical Protestantism and I can assure you I did LOTS of thinking and reading before converting) but the strain and anguish of dealing with my closest friend’s deep concern that I was in tremendous error, etc, wore me out and I said I really needed to get back to her on the saints . . . I found so much great information, clearly organized and credible, as usual, organized by YOU, and I am referring her to some of these articles which I do feel explain things more clearly than I can in a defensive or emotional state. I am so thankful you have done all this research and work, I also teach RCIA and a Bible study in our parish (much easier for me to work with/concentrate with people who aren’t in a critical mode!) and I know I will be referring so many people here. God bless you!!! I know He will! What a ministry!!!!! From the bottom of my heart, thanks. I’m a 17-year old Catholic, and I just wanted to say thank you for your great website! I love it! I’m a convert, and your website has helped me greatly in defending my Catholic beliefs (as well as Christian beliefs in general). I have to say you’re my favorite Catholic apologist. I love how you use so much Scripture and logic in your papers. And one thing I especially like is how you are ecumenical as well! . . . Thank you for your awesome site! 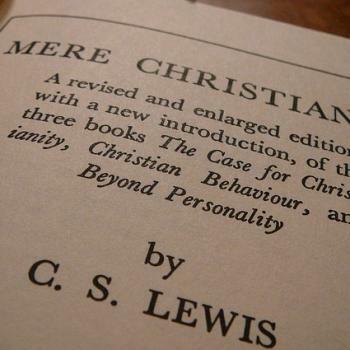 As for some students who are spending a summer in Oxford, most of the material we have drawn from the net has been from the links on your page, especially those concerning Newman, Chesterton, and C. S. Lewis. Thanks for propagating our ideas and beliefs through your pages! Thank you for a great site. As a cradle Catholic I never understood much of the theology. Thanks in part to your site, . . . I have begun reading theology and have taken an interest in the “intellectual” topics. Your hypothetical and actual discussions are very informative and easy to understand. Your web page (and also Catholic Answers) has really brought me into a new dimension of my faith – the dimension of the mind married to the heart – and I have become my own budding apologist . . . So, I basically just wanted to thank you for your ministry: it is SO IMPORTANT! Catholics need to know what they believe and why! You’re doing a great thing. Please continue to engage in fair, rational, even-handed and above all charitable dialogue with those who oppose you – this truly glorifies God and is witness to the Spirit of Christ at work. Don’t give in to the urge to return insult for insult! I have read too many “apologetic dialogues” that have left me feeling saddened and discouraged because of the baseness of the interaction. Thanks Dave! I spent over an hour romping around your website. Nice, very nice . . . Good stuff. Keep up the great work . . . To be perfectly candid, after seeing your website, I’m really interested in working with you more closely, especially if that would mean harnessing your rather remarkable cyber-talents . . . I am really excited about the idea of having your web-site linked to the Missionaries of Faith . . . I look forward to staying in touch and working more closely together. Thanks again for the great work you’re doing for Christ and His Church. No matter how long it’s taken, the Lord clearly has you right where He wants you. Dr. Hahn is arguably the preeminent and most well-known Catholic apologist today. Keep up the good work. I am constantly sending people to your page to find answers for their questions and sources for their search. Did you know that your website, and rightfully so, was one of the few websites to be listed in the new 2000 Catholic Almanac by Our Sunday Visitor? Thought you’d like to know. It’s on page 578. [It] only has about 40 websites listed. Your is under the category: Catholic Megasites, Directories and Links. It then has your website name and address. Quite impressive, eh? easily – all in one place! Just wanted to let you know I appreciate your labors of love . . .
Catholic apologist; story in Surprised by Truth. of thinking . . . Thank you for your incredibly helpful dialogues. Your website is fantastic. I normally don’t read apologetic writing, but your articles go beyond the usual defensive, parochial style. Your boldness and frankness make for very engaging reading. You don’t regard orthodoxy as something static . . ., but as something dynamic and alive. Because of the high value and original content of your site, I am listing it at my Ressourcement Page, http://ressourcement.aquaetignis.org. This page is devoted to the European spiritual and cultural renewal during the 1930s-1950s (leading up to Vatican II). Thank you for your work in maintaining your Biblical Defense of Catholicism page. Thank you and God bless you for your splendid witness through your website. much more you would do than you now do if you were a full-time apologist! Catholic apologist, connected with Catholic Answers, The Coming Home Network, and the Franciscan University of Steubenville. Because yours is probably the best and most comprehensive apologetics page on the web, I have placed it as a featured link on TCR’s front page as “apologetics”. I hope this will help drive even more traffic to your already highly regarded site, and that many will be helped and consoled as a result of contact with your hard work. am a revert, and have been back in the Church for about a year now. apologetics sites on the WWW, I have returned to the Church as a full member. help, and I will continue to drink from this marvelous well you have dug. I just wanted to take a moment to commend you on your site. I have found it extremely informative and appreciate the way you have presented your arguments, even under the scrutiny of others. I was born and raised Catholic (I am 18 now) but, not until recently (last couple years) have I really striven to understand the teachings of the church. Which, I admit, is/was a poor choice. However, I just wanted to say that your site has made a difference to me. It has helped me with my knowledge of basic theology and helped me fend off attacks from non-Catholic peers. In closing, I just wanted to thank you and tell you how much I have enjoyed and appreciated what you have done with this site; it has been a great help to me. conversion and in my understanding of Catholic doctrine. Let me just say again what a lovely site you’ve created. Way to go! If you want to know, I think you have one of the best sites on the web. It’s so amazingly thorough I’m dazzled (double dazzled, now that I know how much time it takes) at the incredible work you’ve put into it! Way to go! May God continue to bless the work of your hands, friend. Catholic apologist and author of By What Authority? and other books. I just want to let you know that I consider your website to be the best Catholic resource on the web. The amount of information you provide is extensive and well arranged making for easy access – I really do appreciate all the time and effort you put into it. A very close friend of mine recently became a Catholic (last Easter in fact). He was previously Youth Minister in a Baptist Church – so his journey to the Catholic Church entailed many questions/study about the Church. Being able to draw on your resources helped me to answer the many questions he had, as well as deepening my own personal understanding of our glorious and holy Catholic faith. For this I would like to thank you deeply. Please accept my humble congratulations for your site and your apologetical work concerning the defense of the Faith. It is not a small duty, and such a tremendous work you are [doing], as far as I can judge, proudly, honestly and with the utmost elegance and charity. I was just clicking along looking for good “Catholic” web sites, . . . when I just happened along to yours . . . all I could say is “Oh my God.” What had opened up before my eyes was a mountainful of Catholic information. I couldn’t believe what was before me. I felt like a kid in a candy store staring at all the information there. I thought to myself that this is a one stop shopping store for all the information a Catholic could want. Anyway, I am spending hours researching your web site and I am in seventh heaven. Couldn’t be any happier. After all the Catholic web sites I have gone too, yours is the best, thorough, comprehensive and most informative . . . Yes, when I need some information, I know where I’ll be coming. I will be right here at this site, delving through all the material here and having a ball. I simply wanted to say thanks for the VOLUMINOUS wealth of information on your site . . . Your site was (and is) one of the strongest sources of information for me. This is due in large part to the due diligence you pay to going to the source for information, striving for clarity and adherence toapproved (or should I say “Traditional” or “Orthodox”) materials and theology. What always amazes me on your site is the thoroughness of information. I often have to stop in the middle of an article to follow a link to a new page that teaches me something else that is quite compelling. You do a very good job with your links. I want you to know first of all that your web site is just amazing. 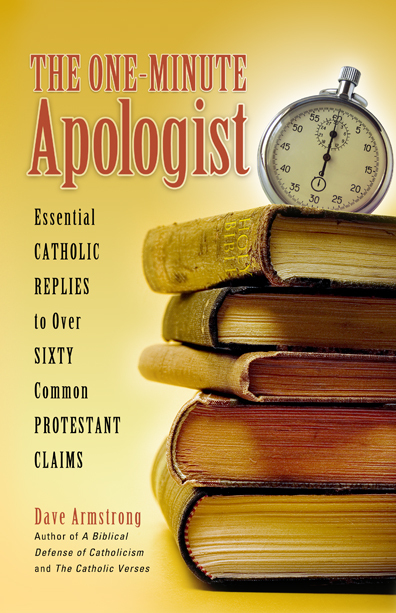 You top my list of apologetics sources, right up there with Pat Madrid’s writings (Pope Fiction and Envoy magazine, especially) and Rev. 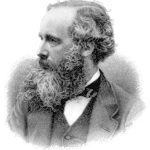 William G. Most . . . Thank you so much for all the work you’ve done putting this site together; you are truly doing the work of God. evangelical zeal I once had, which you so clearly demonstrate . . .
of the extensive theological resources you that offer on your website). of God Church, have been bombarding me with anti-Catholic comments. I was starting to doubt Catholicism & almost converted to “Biblical Christianity.” I’m learning a lot about my Catholic faith through your web site . . . BRAVO !!! You’re providing the church with a great service. No one until I stumbled across your site has been able to give the clear, nearly objective answers to questions concerning the Church’s role and accountability in stopping and (sadly) propagating human misery and suffering . . . Either I have been told I am a monster in a Church of humanity’s worst monsters, or I have been given a mantra of “don’t question” . . . I remind you that what you do as an apologist is important, and not in some ivory tower exchange with “The Big Bad Liberals” across the fence. It matters because it reaches and satiates and renews the inquisitive such as myself . . . Thanks again for what you do. It is reaching people, even the young. arguments. They are refreshing, not only scripturally based, but intellectually based, seemingly free of the sentimentalism (although well-intentioned) that bogs down the discussions of most amateur apologists (my mom, my CCD teachers as a child, etc etc.) . . . Its an entirely different [thing] when you can back up the Catholic Church as Truth . . . with a wealth of intellectual, historical and real-world facts, precedents and examples. I look forward to reading your books and delving more into your arguments.
. . . how great an influence you and your webpage has been . . . I had been desperately trying to convert my Catholic friends . . . I could generally beat them in argument, but in my fervor to do more and more research I came across your webpage, along with some others. I read just about every single word on your webpage, and, long story short, I was received into the Catholic Church Easter 2000 . . . I really think that your writings were absolutely instramental in my conversion. Your words struck me as utterly logical, and often you frame things in the same way I would if I were making an argument, although often you have a ton more knowledge to back up that reasoning that I have. The only other person I can say had as much influence as you was the Blessed Virgin Mary, but her proseltyzing was more subtle. Your website is excellent. Indeed, I was received into full communion with the Catholic Church this past Easter by Theodore Cardinal McCarrick in large part because of your wonderful apologetic enterprise. Thank you so much. I’ve just started engaging non-Catholics on the Internet . . . As a budding apologist, this is a goldmine. I’m not sure I have enough life in me to read it all, but I’ll try. Thanks for all your efforts. Over the past two years I have been a devoted visitor of your site., I have watched your site grow and grow, and bring more people (like myself) to the Faith. Now you are publishing your book, and winning even more people. I tip my hat to you, sir. Catholic. Thanks for your work to keep me safe. I belong to a Bible class that is made up of fundamentalists. I’m the only Catholic. You have made my job so much easier with your quality material to dispel the myths and damaging propaganda that is circulating around Christian circles of today about the Catholic Church. I truly did not know the hate for Catholics until I joined this class. Again thanks very much for your hard work and unwaning determination to get the truth out. I wanted to thank you for the enormous work that you’ve done in putting together your website! I have referred many people to it; I call it the “Wal-Mart supercenter” of Catholic apologetics (I hope you don’t mind that analogy). I wanted you to know that your work has been a great aid in my decision to become Catholic (from a Baptist background). I just want to commend you on your website. 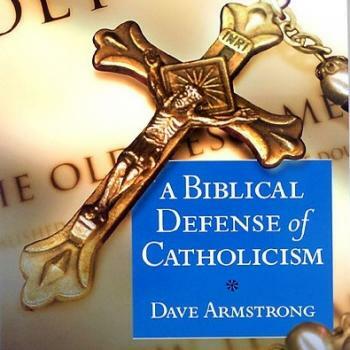 It gives an understandable and excellent explanation of Catholic doctrine. I am a Catholic priest in Canada. I want to thank you for your wonderful website. You are a great gift to the Church. You present arguments well, have great insight, and are enthusiastic about defending the faith. It needs defending. We are being attacked by everyone and sadly, for years, we just took it under a misconceived notion of ecumenism and openness to the world. Internally we have suffered tremendous defections and dissent. Now God is sending us great apologists to fight the good fight. I am so glad you have addressed the Orthodox Church’s claims and criticism. No one else does! I have been looking for refutations for years. Your links are also excellent . . . God bless your work. God bless your family. And I’ll be looking forward to the publication of your book. I am a Catholic priest, studying the Biblical sciences at the Pontifical Biblical Institute in Rome, now. I have seen your web page, and very often I return back to read the wonderful articles, very well based. Since in my land, in Slovakia, after the fall of communism, an invasion of hundreds of sects, cults and “churches” have come from America, we are not very well prepared to answer to all of these. We even wonder who is who. We are now, after Communism, 73% Catholics (both Latin and Greek), some 10% protestants (Lutherans, Calvinists). Some are very agressive. They enter our parishes, without asking the priest, . . . and then they start to attack our faith . . . Your web page is an excellent means to defend the faith we inherited from Sts. Cyril and Methodius in 863. Dear Dave, I use your articles in the dialogues (even with our Slavic Orthodox, who are under the Patriarchate of Moscow, but at the same time very influenced by the Russian Orthodox Church outside Russia) . . . I want to ask you, could you permit me to make the translation of your web page into my Slovak language (possibly as a mirror site)?. My language is intelligible for Czechs and Poles also. It would be a great thing. I am a college student . . . I have decided to join the Catholic Church . . . The materials on your website helped me along immensely, as did your recommendation of Cardinal Newman. our Order (the Friars Minor Conventual) prays every year. Your web page has been the most instrumental cause of my spiritual and apologetical formation and I would not have the knowledge I have now about Christ and His Church if it weren’t for your invaluable works. Your work has aided me a great deal . . . I think your work is phenomenal, and I pray that God helps you in it always. May God bless you and your family, and may He bless your ministry even more than He already has. I have been a regular visitor to your web site for over two years now. I have used it as my primary source on information on Catholicism, and because of it, I am now attending RCIA sessions. I have bought your first book and am waiting for the next to come out. I have found it to be a very useful learning tool. I have been inspired by your writings and you have been instrumental in my decision to join the holy Catholic Church . . . I found your website and found many of my own thoughts out in the open…on the net. And it was a great relief. Reading more and more I began to see the truth in the Catholic Church and now I’m coming home…my greatest thanks from the bottom of my heart. One of the great blessings in my life has been your website, where I have spent hour upon grace-filled hour. It would be a very great personal loss to find it no longer available. I feel like I know you . . . You have brought me back, and by extension, many others with whom I have taught with your information. You have been an instrument of Christ in my life, and I thought you should know. which, I assure you, I am :-), I quickly deleted my efforts. However, I must let you know that anytime I have ever needed you, . . . you have been there for me. And now that I have an opportunity to somehow show my gratitude for your work, I am ready to be there for you, albeit nowhere near proportionally, for I could never truly repay my debt for your labors. remains my favourite. 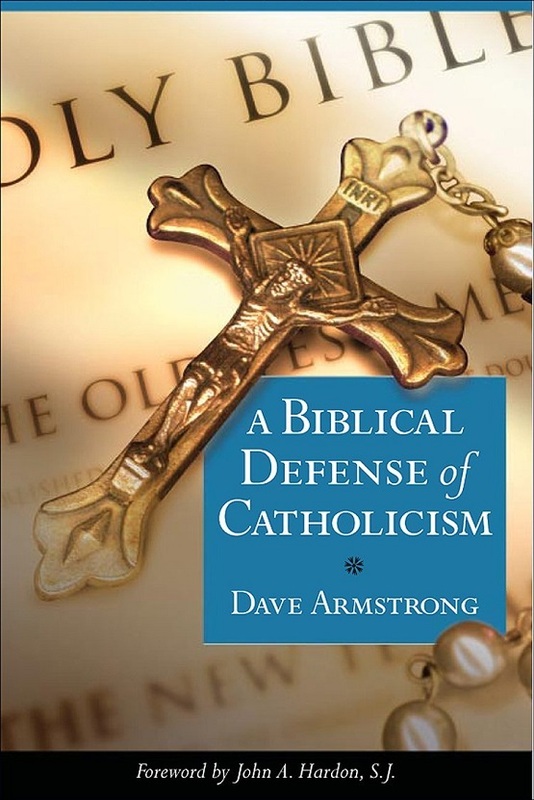 It has exposed to me Catholic apologetics for the first time as a structured,comprehensive, and rational defense of the faith . . . Keep up the good work; it is making a difference. Your website has helped me immensely, and any amount of money could never repay my debt to you. Your writing and exegesis was instrumental in my conversion to the faith (I will be confirmed this Easter!). Your website helped me immensely while I was considering converting to the Church. I am no longer greatly troubled with “Protestant doubts” to my Catholic faith, but that was not always the case. Your website helped me through some pretty tough times, and your well-researched and well-documented papers were always helpful. I used to visit your site several times a day. And, to this day, your site is the link to the world of my heroes C.S. Lewis and G.K. Chesterton. I have recently reverted back to the Catholic church, and much of the intellectual conversion was a direct result of your web pages (of course, we both know that God was involved, too…). I can’t thank you enough for the posting of so many thoughtful papers and interactions that you have made available on your site. I just wanted to let you know that partially as a result of your strong witness for His Church, I and my family (wife, who was RC and became an Evangelical before we ever met, and two daughters aged 7 and 10) are going to be received into the Church this Easter, God willing. Her parents, both staunch Catholics from the Emerald Isle, are extremely happy about this as well as many of her relatives who have been praying for us. I have long considered it a terrible case of injustice that you are not a full-time apologist and writer, properly compensated for the fruit of your talents. Your writing is lucid and your thinking is first-class – honest and undeniable. You have a definite gift for making the case for truth plain and easy to see in any argument. On a personal level, your writings were very instrumental in my conversion. When I first felt leanings towards the Church, I came across your web site and was immediately absorbed. It was not long before I became convinced of the Catholic position. Also, your writings were a comfort after my wife and I were broadsided by the modernism and liberalism which plagues the Church today. Later, you helped me work through the controversies over Vatican II. And your web site has been a huge resource and help for me during debates with Protestant friends . . . My family and I have benefited so much from your writing, that it would be criminal for us not to support you. Thank you for your extensive research and work done on behalf of our faith. Your work was instrumental in my reversion from Evangelicalism. Without your website I wouldn’t have had any clear understanding of the differences and errors inherent in Evangelicalism. Meta Description: Unsolicited feedback from 1997-2001, regarding the work of Catholic apologist Dave Armstrong. Is Catholic Church teaching true or is it the product of a long and turbulent history? We now have Catholic Church teaching set out in the “Catechism of the Catholic Church” so it is easy to see whether Church teaching conforms to Scripture or not (click on the link below). I am a servant of God on http://www.prophecyfilm.com and wish to beg you, in the name of our Lord Jesus Christ, to please link to this wonderful site which has glorious Prophecies & Revelations of Jesus and Mary from Saint Bridget in many languages! We also have free videos for download on various catholic topics, and maybe hoped that you could tell your visitors! They are a bit further down on the page and are quite interesting. You are free to copy all our videos on our site http://www.prophecyfilm.com to your site if you like them. This can draw lots of brothers and sisters to your site. We know by experience. We hope you also read the revelations and watch our videos personally! Saint Bridget was canonized by Pope Boniface IX in the year 1391 and confirmed by Pope Martin V in the Council of Constance in the year 1415. I would like to use some of your e-books at RCIA. Is there a way I have to go about this. I can donate some money if it would help. Not sure which ones yet I am still making my way through them. Sorry to leave this in your comment section but couldn't find your contact info. 1-2 weeks in the context of this effort. Hope to hear from you! God bless you and thanks for all the work you do!